Myofascial pain syndrome is a chronic pain condition, where pressure on sensitive points in the muscles of a sufferer triggers pain in other, seemingly unrelated, parts of their body. The pain associated with this condition is different from other types of muscle pain because it persists or worsens over time. Other symptoms of myofascial pain may include deep, aching muscle pain and difficulty sleeping due to the pain. Myofascial pain can have a significant impact on a person’s life, particularly for an athlete or someone who is involved in physically demanding work or activities. In a recent case, Cirillo v. Mai (2016), the Supreme Court of B. C. awarded a young woman $65,000 in non-pecuniary damages (pain and suffering damages), after she was injured in a car accident and developed myofascial pain as result of her injury. The young woman was an athlete and her injury significantly diminished her ability to compete in the sport. The car accident occurred in December 2012, when the woman drove her car through a green light and her car was struck by the defendant’s vehicle which had entered the intersection on a red light. On impact, the plaintiff’s car was forced into the opposite lane and struck by a second vehicle. The defendant admitted liability but the B.C. court was required to determine appropriate damages for the plaintiff’s injury. The plaintiff was 23 years old at the time of the accident, and was attending Simon Fraser University and highly involved in trampolining. She worked as a part-time coach at a Trampoline Club and was a teacher at New Westminster Parks and Recreation. She was also active in an extensive training and nutrition regime, for at least two to three hours each day. The plaintiff had been in competitive trampolining since a young age, and had success competing locally, nationally and internationally. In fact, in 2012, the plaintiff was the only B.C athlete at her level in the sport. The collisions caused significant damage to the plaintiff’s car. Immediately after the accident, she was in shock, felt fatigued, and experienced tingling in her legs and tightness in her chest. She was taken to the hospital and her lower back, chest and legs began to stiffen up. Most of the pain went away in the next few weeks; however, her back pain persisted. She sought physiotherapy treatment and did yoga, but these did not alleviate her pain. 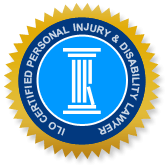 The plaintiff tried to return to her former level of activity after the accident, but she was limited in what she was able to do and found herself sitting out much of the time. She was unable to compete in trampoline competitions the following year and decided her career as a competitive trampolinist was over. She sought chiropractic treatments, but they also did not help her condition. She eventually consulted a physician with expertise in sports medicine but his tests did not determine the source of her ongoing pain. The plaintiff was then referred to a pain clinic, where she treated by a physician who is a chronic pain practitioner and anesthetist, as well as a physiotherapist. In this context, she tried trigger point injections which reduced the severity of her pain, but did not eliminate it. The plaintiff’s pain was diagnosed as myofascial pain by her physician, and ‘mechanical back pain’ by the chronic pain practitioner. Although her pain was not designated as ‘severe’, the continuous dull pain in her back was ‘bothersome’ and her physician believed that her recovery had plateaued and the pain would likely continue indefinitely. The plaintiff reported that she was still able to complete chores at hope, with the exception of heavy lifting, and there was no impact on her social activities. The plaintiff anticipated a career as an art gallery administrator, and her physicians believed this not be deterred by her injury. The judge in this case noted that the plaintiff suffered some physicial restrictions and a loss of lifestyle due to her injury, which also impacted her emotional and mental condition. The judge also considered that although the plaintiff continues to experience back pain, it is not on the level of serious chronic pain that for some accident victims, significantly interferes with their functioning in a whole range of activities, interpersonal relationships and quality of life. And, although the plaintiff lost the ability to participate in a sport she loved and was devoted to, it is unlikely that she would have been able to continue at her current level of activity for more than a few years. On all these grounds, the judge assessed her non-pecuniary damages at $65,000. The plaintiff was also awarded $1,177.01 in special damages and $956 for past loss of income.